WW1 has ended. Super heroes exist. Super villains don’t. Until now. Flicker, or The Flickering Man in a Trench Coat is a game made by 6 people who came together to participate in LDJAM39. It’s a puzzle game that has you follow our unnamed protagonist, who also happens to be the first super villain in this world in his quest to drain a city of its electrical power. Here is a puzzle board. I will explain several of these pieces to you. Every board will have these two points. These indicate two endpoints for your board. By connecting these two endpoints with electricity (done by wires), you will pass voltage between the two. The escape key will close and reset the board, in case you get stuck! Each wire will add 5 Voltage to the path. Each board will contain a few wires already. Some puzzles will allow you to create your own wires. If so, wire tokens will show up on the top right side of the screen. They look like this: . When drawing a wire, you can cancel it mid-drawing by right clicking. Some puzzle boards will have switches take place a hole. . If the switch is turned right, it will disconnect ALL adjacent wires. If it is turned left, the wires will be re-connected. Clicking on them will toggle. You may see these in a few boards. Simply put, connecting to a buffer will add voltage to your path. The amount added is equal to the number displayed on the buffer. You will see these take the place of holes rarely. Voltage checks will block your wire connection unless your connection has accumulated exactly 50V between the start of the board and the voltage check. Each puzzle scene will also include a note. 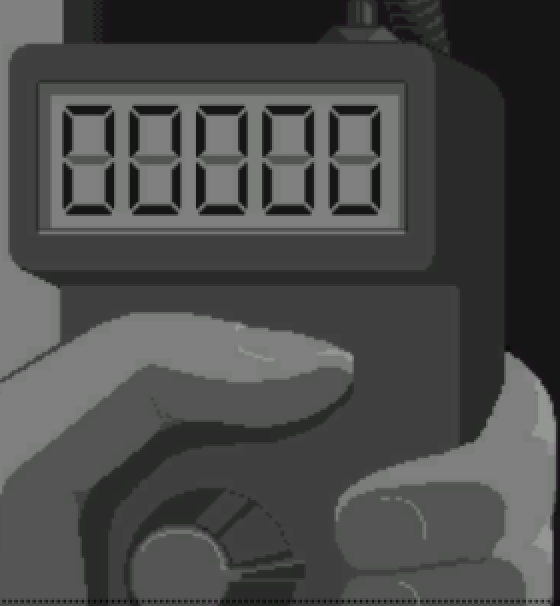 This note indicates the voltage you MUST obtain in order to complete the puzzle. 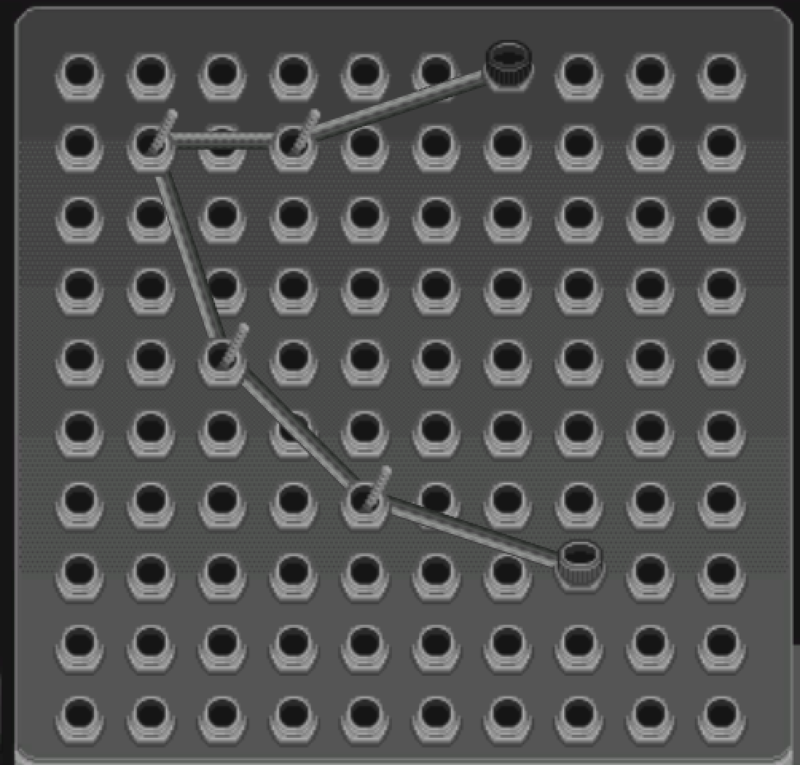 Therefore, the objective of this game is create a path with this voltage value that connects the two board endpoints . This instrument will help you calculate the current voltage you have between the two board endpoints. If no connection is detected, then the voltmeter will display 0. 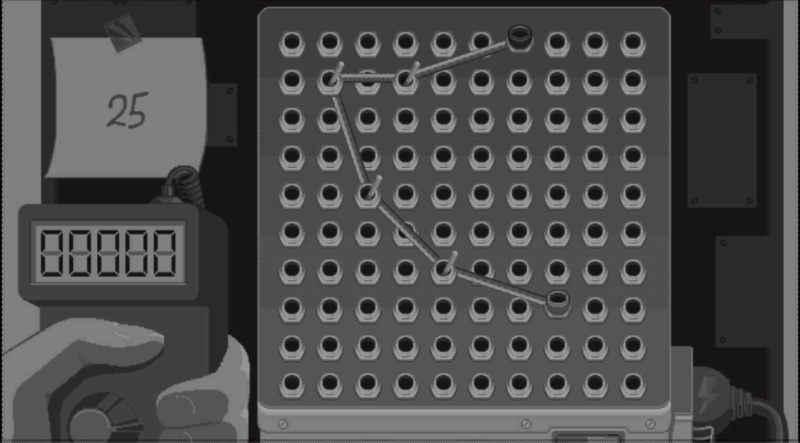 1) Just like circuits, this board will only consider shortest paths between points. If there are multiple paths from point A to B, the voltage between A and B is measured by the path with the smallest voltage. 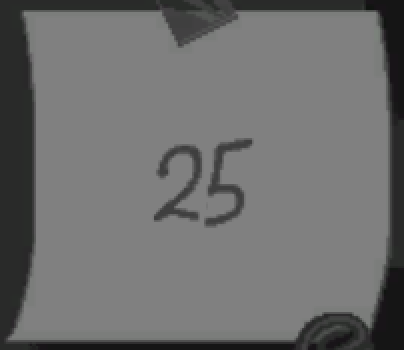 2) The game will quit on its own when you pass all five puzzles. Otherwise, Right Ctrl + Q will close out of the game. Please rate and comment this game! We put in a lot of work into it, and we hope you have fun! Any questions and comments are appreciated.